Author’s Note: See also for another take of mine on this pericope. 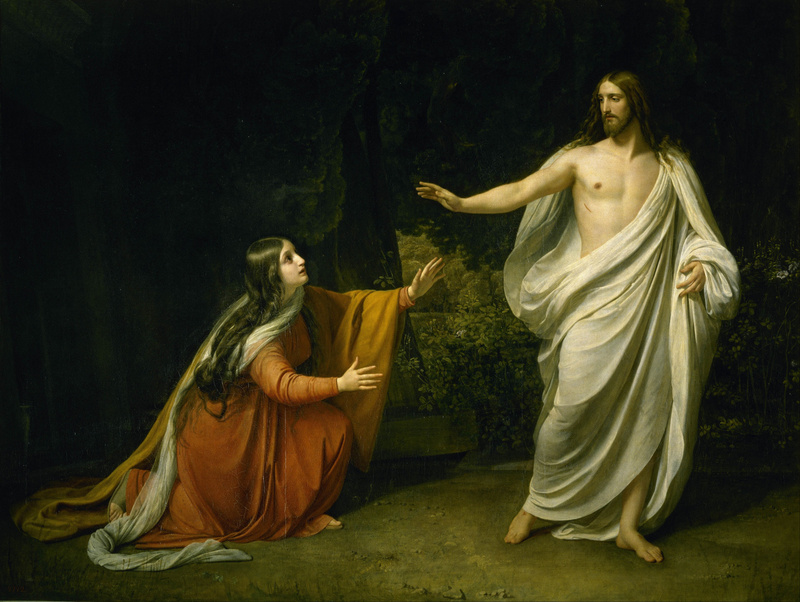 Confronted by Jesus’ opened tomb, Mary is caught off guard. 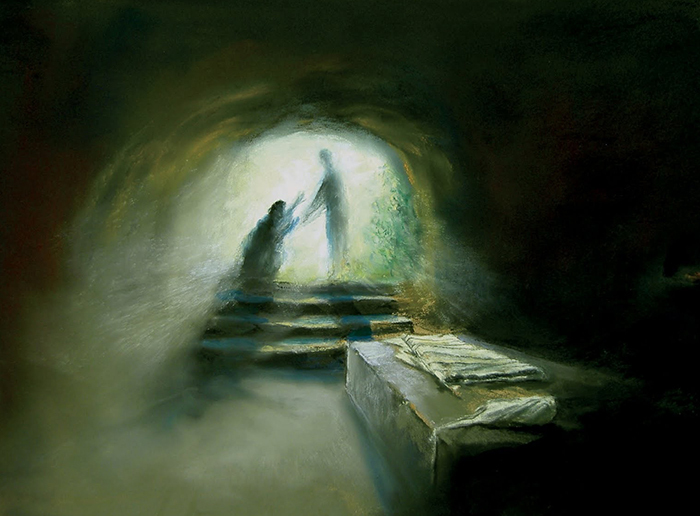 Her mind scrambles to fill in the blanks and draws the only conclusion possible (so she thinks): “They” have taken Jesus’ body out of the tomb. The two disciples she reports this to are likewise caught off guard, and they run to investigate her unbelievable report. The disciples go back home, to shut themselves in behind locked doors (see v. 19). Mary remains in the cemetery with the dead. None of them knows what else to do. They are overcome by fear and grief. They have boxed themselves into a hopeless reality in which they are as good as dead and buried themselves. But into the darkness of death has come the light of life (see John 1:4-5). Jesus is alive, against all odds and expectations. He was bound to rise from the dead. The darkness did not overcome him. 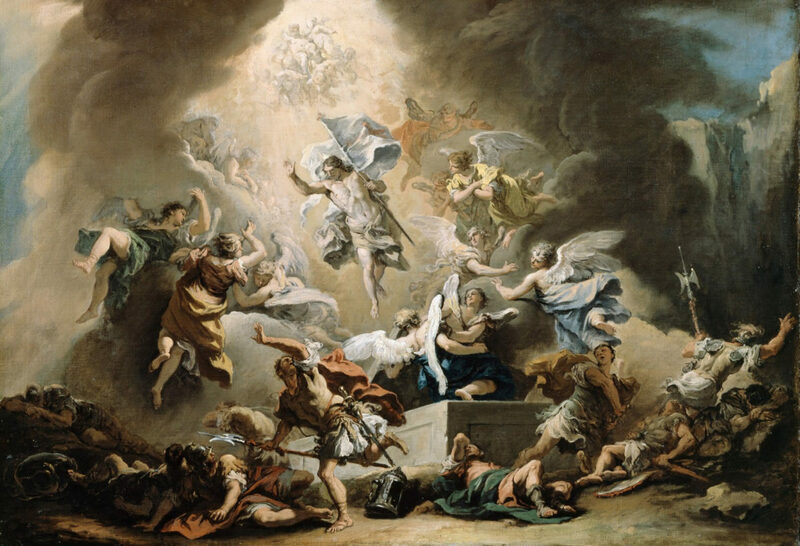 And by the light of this first Easter morning we see a box, with angels at its head and foot. Now where have we seen that before? Oh, right. The ark! The focal point of God’s presence among God’s people before the Babylonian conquest. But here it is now, an empty box, whose angels have no message to proclaim (see Exodus 25:22), only a pointed question to ask. We will have to seek God elsewhere. Mary turns around and almost literally bumps into him—out of the box. It’s Jesus, but she doesn’t realize it yet. Was it her tears obscuring her vision? Or was it her certainty in that first (false) message she proclaimed? Even his voice does not bring recognition at first. Not until he speaks her name does she see him for who he is. But then, in that instant, faith takes hold. No longer bound by death, now she is gripped by life. She can’t hold him; he holds her. Having encountered the risen Christ, she is bound to act and to speak. “I have seen the Lord!” she announces to others. God has been made known to her in the Father’s only Son (see John 1:18). This time she has gotten the message right and become the first evangelist. Now she too is out of the box, liberated from her previous hasty assumptions and false certainties. Because her Lord lives, she lives also—abundantly, and with great purpose.